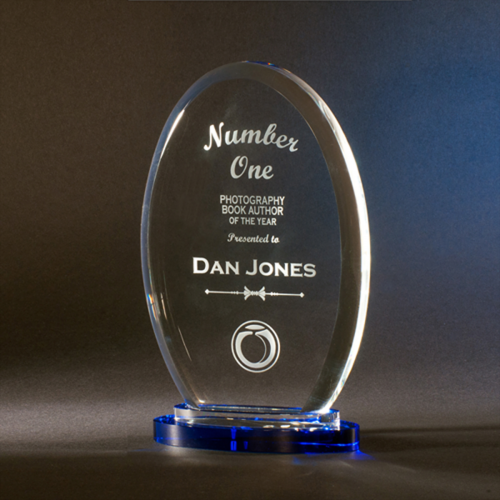 The beautiful angled cuts on this octagon shaped award makes it the perfect trophy for any occasion. 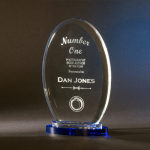 Pure K9 premium optic crystal trophy in a oval shape with beveled edges. The base is made from cobalt blue crystal.